Boy band Bangtan Boys, also known as BTS, were the most tweeted-about celebrities this year, the social media platform said Tuesday. They had the most Twitter engagements around the globe last year as well. Twitter did not release an exact figure, but a video of BTS member J-Hope dancing is known to have garnered 1.7 million "likes" alone. 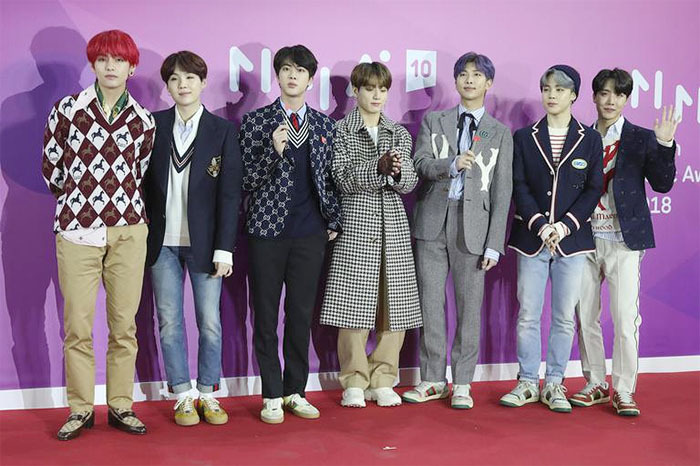 BTS had the most tweets, retweets, replies and likes between Jan. 1 and Nov. 10 this year, beating out NBA superstar LeBron James and U.S. pop music artists Kanye West, Ariana Grande, Cardi B and Beyonce. Among other K-pop acts, EXO ranked fifth, while BTS member Ji-min came ninth. 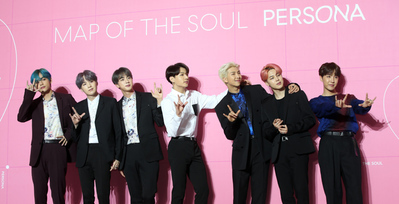 BTS topped the Billboard 200 Albums Chart in May and September this year and won the Favorite Social Artist award at the American Music Awards in October. Bangtan Boys Album Goes Gold in U.S.